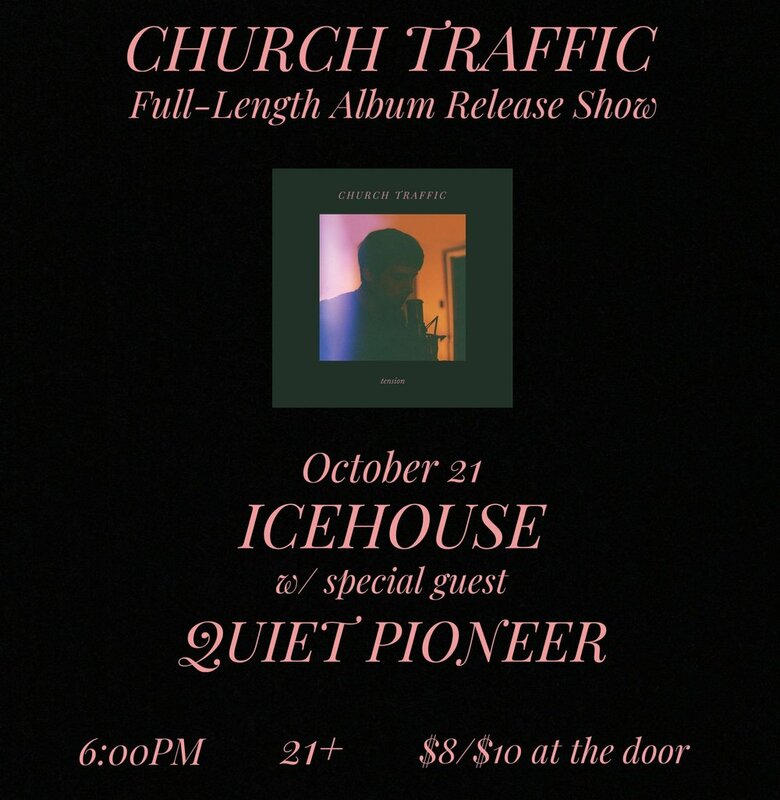 Church Traffic is a dream-surf-folk-rock band from Minneapolis. Nate Moore (Singer/Songwriter) - Lead Vocals and Electric Guitar. Annie Schoessler - Background Vocals, Keyboard, and Violin. Ben Metzger - Bass Guitar.